Sparkle and Shine: March showers bring April flowers...? So I am really digging all the pastel colors that are in this season. I have blonde hair, brown eyes, and beige skin.... perfectly bland and also a perfect canvas for color. Pastels are fun because they are easier to mix together than more bold colors. 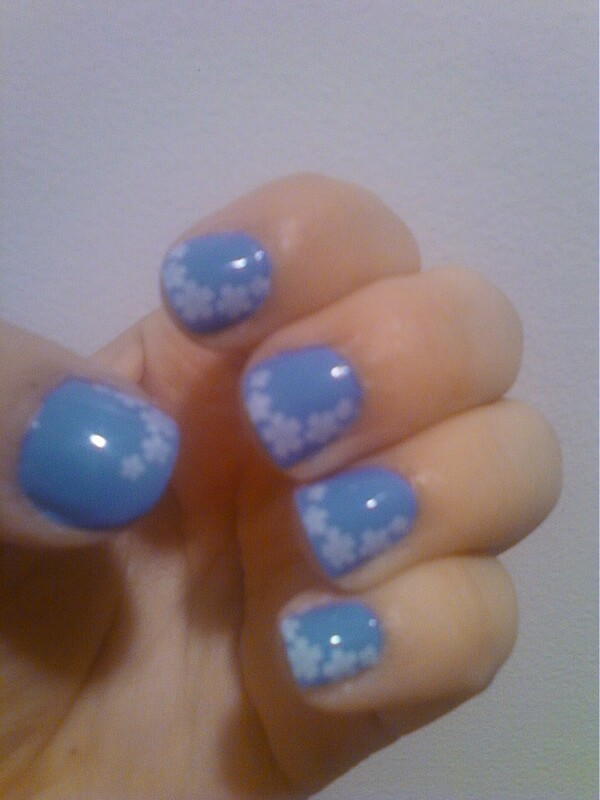 In honor of the pastel colors popping up like daisies all over the place I did a manicure that played with the theme! To get this look I used one coat of my ORLY color Snowcone. I really love that color because it has such good coverage and it is such a bright pretty color! 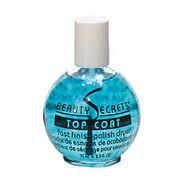 I then did one coat with my favorite top coat by Beauty Secrets. I get this polish at Sally's Beauty Supply. It is my all time favorite and the only one I even bother to use these days. My favorite one is the blue one, which is formulated for fast drying, but all the different colors are awesome. I then used my Bundle Monster plate in the number BM12 and my Wet n Wild polish in French White Creme. I then finished it off with another coat of top coat making sure to concentrate it at the ends to seal the color in and prevent chipping! I love the effect I got. How are you gonna rock the pastel trend!? !